And how much their starting prices are. There comes a point in a woman's life where she might want to upgrade to a designer bag—we say "might" because owning a brand-name handbag isn't obviously a goal for everyone. Some would rather invest in real estate; others would prefer to tick destinations off their travel bucket list. It's entirely up to the individual, and that's fine. 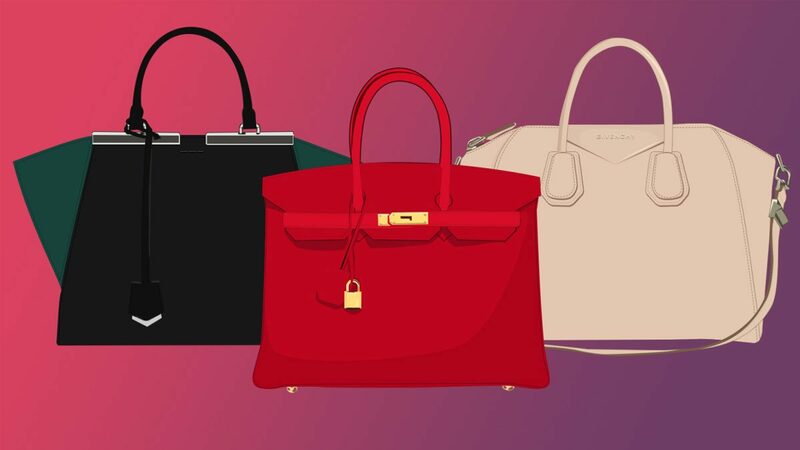 But if saving up for a designer bag is a priority for you, you might want to consider these 10 classic options. From the Chanel 2.55 flap bag to the Givenchy Antigona, these styles also make for good building blocks if you want to start a bag collection. PS. Note that we focused on the sizes that are most practical for working women and would fit their daily essentials. Smaller and larger styles exist, of course, and the prices will naturally reflect the differences in size. VIDEO: Jean Saturnino. ILLUSTRATIONS: Jico Joson.